If you have ever wanted an at-a-glance list of when to plant what in the Valley, I found this remarkable resource, and thought I'd share. If it looks pretty in the garden beds of subdivisions now, then don’t buy any! It is time to start planning for warm season flowers. If you buy a beautiful flowering cool-season plant now, it will be to add short-lived color, but it will be dead in another six weeks. Make room now for your warm-season annuals. Till up a bed for some summer flowers and spend under $5 for seeds for an inexpensive color burst. It is time to keep an eye on the winter growing annuals. They will begin to decline now that the weather is warming and the days are lengthening. It’s a good time to start saving seed for next fall. It is time to fertilize bulbs that have been underground. Trim your cannas for more beautiful growth and less bug infestation. HINT: I plant my bulbs half to two-thirds as deep as recommended by the grower. Most don’t need to go lower than that because our winters aren’t harsh. It’s time to look for a spot to plant some Agave. They need some afternoon shade, especially when they are young and tender and will eventually be able to be moved somewhere with full sun as they mature, if desired. It is also time to trim back chollla and prickly pear. If this the year that you want to add some citrus trees to the yard, this is the very best time to plant them! So go get yourself a grapefruit tree for some nice spring breakfasts and an Arizona Orange for wonderful late winter snacking when you need your vitamin C the most! Did you plant strawberries? They need moist soil to grow well and produce good fruit. Mulch them well to keep evaporation to a minimum. They are called STRAW berries because early farmers would place straw beneath the plants to prevent rotting as the berries touched the ground. Farmers still do it, we can do it too. It’s cheap, lightweight and easy. Anyone want to go in with me and buy a bail?! For all you “dirt yard” owners, this is the time to get ready to plant your lawn. Next month is really the time to seed, but if you trench for irrigation and level your soil and prepare now, you will be the first to lay seed and have a green lawn for spring and summer! So choose your variety and get a move on! For a great education on the different varieties that grow here, visit the ASU Cooperative Extension Office on Broadway in Phoenix where you can view side by side 8 different varieties growing together! Trim up your vines this month to keep them in control. This includes lantana and bougainvillea. It is too late to plant bareroot roses, it is time to buy potted. Remove spent blooms to encourage new buds. It’s a good time to fertilize, too. I go to Starbucks and ask for Ground for Gardeners. They are always happy to give me (for free) the used grounds from the day! These make great fertilizer for Roses, Azeleas, Camelias, and all of the acid loving flowers that grow in Georgia! Toward mid-late month, you will begin to see aphids. When you do, call your local garden center and see if they have received their lady bugs yet! 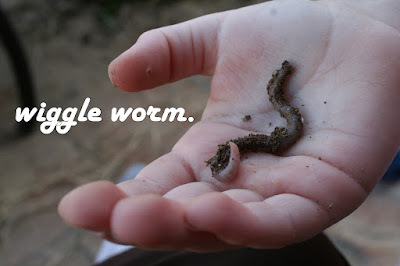 Get the kids and release a few caterpillars a day (if you release them all at once, you will be giving them for free to the neighborhood.) They don’t like to be crowded by others of their kind. Skipping Shrubs and Trees for the sake of time… email me if you have questions. Keeping it short, I will say… it is still time to plant. Keep caring for plants you planted in February and keep the weeds out of the garden beds. J You can begin now to take cuttings on your herbs for use in dishes or to dry for later. Divide your oregano, mints and lemon grass. Sow Herbs: basil, bay, calendula, chives, Cuban oregano, epazote, lemon grass, lemon verbena, marjoram, Mexican mint marigold, Mexican oregano, parsley, peppermint, sesame, spearmint. First I want to apologize for not getting this out sooner. I could list my 55 excuses why it didn’t make it out on March 1st (or 2nd, or 3rd or… ) , but is suffices for me to say, “I am a Mom, Wife, Friend, Daughter, and Sister first.” Yes, I am barely an excuse for a gardener at this point. J Actually, I did get some of my own garden sown and planted, ripped out 14 giant black garbage bags of weeds, grass and dead growth, trimmed up the koi pond and managed to bring my lawn back from the dead. But, I still haven’t spent enough (not sure there is such a thing) time in the garden. My recommendation for pest control is self control. At least I say that now. I imagine that this will be the year of the grasshopper and the year of the mosquito with all of the extra rain we have had here in the dessert. So, 6 weeks from now you may get an email from me that screams, “DIE APHIDS, DIE!!! !” But in most years and under normal circumstances, bugs take care of themselves. Even this wet year, I imagine that this will be so. Remember, a good year for mosquito larvae will end up being a good year for lacewing eggs and so forth. But mark my words, it will be the year of the bugs!! The aphids roam in and then the ladybugs and lacewings follow to eat and parasite the aphids. The caterpillars hatch and the assassin bugs attack. The trouble with chemicalizing the garden is two fold: 1. You are applying poison to the foods you will eat or the flowers your children will inevitably pick. And 2. Said poison is indiscriminating. It will kill the aphids, but it will also kill the ladybugs that kill the aphids. It will get rid of the caterpillars, but then it will kill the hoover flies and bumblebees that pollinate your flowers eventually preventing growth and production. Without pollination in the garden, you get nothing, nada, zilch. Well, it is time for me to get into what to do and plant this month. Hope you all keep gardening. I will send out an email this weekend linking to my new garden blog after I get all of the picture uploaded to it. So far it is just drafts. Notes: It is not too late to plant cold-season, spring flowering plants such as snapdragons, calendula, candytuft, English daisies, pansies, Shirley poppies, bread poppies and petunias. They will still make an immediate show of color, but don’t expect them to last past June (May if heat ripens early this year). Whatever you plant, deadhead (remove spent blooms) as your flowers fade to promote more blooms. My suggestions for cut flowers this month: snapdragons, stock, sweet peas (if you already planted them). Don’t try to transplant these guys, or any other bean relative for that matter... they don’t like to have their feet disturbed. Or get creative with vines: Hyacinth Bean Vine and Morning Glory need a trellis or other support. If you are container gardening, fertilize (organically or not) every other week. Annuals in the ground don’t usually need it, if you prepared your soil. Annuals are short-livers, so the slow release of fertilizer found in composted manure is sufficient if you added some to the soil already. Of course for maximum blooms, fertilize monthly with Miracle Gro or your favorite organic stuff (this might be kitchen scraps). Next month you will want to grow Cosmos, Firewheel, Hollyhocks, Globe Amaranth to name a few. Notes: Keep your eyes peeled at the garden center. This is the time to be looking for summer flowering bulbs. Gladiolus, for example, is a great one to find right now and makes for gorgeous, long lasting cut flowers. And yes, if you can find potato slips right now, it is time to plant them. (If you find them, will you please call me!!) Ignore the Asiatic Lillies. They are always available here, but I have yet to get one to bloom before the blast furnace hits. More Important Note: Most bulbs are mass-packaged with planting instructions for the entire country. Well, we practically aren’t part of this country when it comes to gardening. Plant your bulbs less deep here than it states. Generally speaking, unless it is a native bulb, plant it ½ the depth recommended on the packaging. Yeah, that includes everything available at Costco (great place to buy bulbs, but call me if you’re not sure if it will grow here). Amaryllis, Calla, Crape Flower, Crinum, Gladiolus (hint: plant a few every week in succession this month to extend the blooming period. Staggering is especially helpful if you want cut-flowers. ), Hyacinth if you hurry and get ‘em in the ground early February, Tiger Flower, Spider Lily (I LOVE THESE), Pre-chilled Hybrid Tulips if you hurry as with Hyacinths. It’s time to fertilize irises if you have them. As with anything grown in a pot, fertilize containered bulbs every other week. Divide Canna lilies and cut them almost to the ground if you have them and replant the divisions somewhere else in the yard or share them with a friend (I know someone looking for some if you have them.) After dividing, it is time to fertilize them. No pruning of anything else until it’s a little warmer. Caladium, Canna, Amaryllis, Rain Lily to name a few. Ice plant is about the only thing you can plant this time of year in this family. But it’s a good one! I know you have citrus… get out there and fertilize this month because you want next year’s fruit to be even better. Don’t fertilize your citrus unless it has been in the ground since last year. Like with any large shrub or tree, fertilize at the edge of the canopy. Fertilize your pomegranates now, too. Time to prune your grape vines. For good ideas on how to make your grape vines more productive through pruning, Google pruning grapes. There are two basic ways, the cane method and the spur method. Both are great based on the space you have. Your production will improve exponentially with proper pruning. March is time to choose and plant citrus. Make a plan! It is also the month we prune other fruit trees, so sharpen your pruners! Want to grow rare fruit? The Desert Rare Fruit Gardener’s Society has an annual plant sale about this time of year. Very fun. Go ahead, grow some bananas, loquats, limes, pineapple! It is held at the ASU Cooperative Extension office. I feel like I am promoting that place… I’ll check into when it is and let ya’ll know. This month you start seeing ornamental grasses in the garden center. Wait to plant them until the end of the month. Also, if you already have ornamentals, trim them up now before growing restarts. Yep, it’s time to fertilize your lawn. You’ll be doing this every month now for a while. Make sure you water deeply after fertilizing. And no, you do not have to fertilize. I rarely do. But it’s time (if that’s your thing), and it is really worth it if you want a thick, lush lawn. If you are going to reseed your summer lawn or if you haven’t put one in yet (Yeah, I know you’re out there with those “dirt lawns”…) next month will be the time to do it. Choose your grass. The ASU Cooperative Extension Office on Broadway in Phoenix has a great exhibit where you can view 8 or 10 different grass types all planted adjacent to one another and labeled. You can take your shoes off and walk through it and decide what is best for you! I love that place. I was there this morning as a matter of fact. Notes: Perenials are a hummingbird-lover’s favorite plantings. They provide food for them and enjoyment for you, and lack the upkeep of annuals. Hint: To give perennials a good start, dig a hole that is 2X-3X the width and in equal depth to the container the plant comes in. Set the plant in the hole so that the crown is slightly higher than the soil line (to prevent rot), then add compost and a little mulch or some slow-release fertilizer as you backfill the hole. Firm it gently as you go and then add an inch of mulch at the root zone. Autumn Sage, Chuparosa, Columbine, Garillardia, Justicas, Mexican Oregano, Penstemon, Red Sage, Valerian, Violas to name a few. I love to plant lavender and sea lavender this time of year as well. Lucky us! Many plants that are used as winter annuals in other climates will perenialize (yes it is a word, even if Word doesn’t think so) and bloom in spring and fall here. Mind you most of them will look dead all summer, but they are dormant in the same way most things are in winter. It’s too stressful, so they hibernate and come back when conditions are conducive to their lifestyle. Some good examples (from my experience) of this would be geraniums, begonias, gerbera daisies, and poinsettia. Don’t do it this month. The list is really long for March Perennials. A few favorites include vinca, chrysanthemums, daisies, lantana, etc. Notes: Get to know your rose types before choosing and planting them. There are 5 main types in my book: Hybrid Teas, Floribunda, Grandiflora, Climbers, and Miniatures. Know if you want to bring in cut flowers, have a showy bush of color, a heavenly aroma in the yard, etc before choosing. Again, for a great idea-gathering expedition, head to the ASU Cooperative Extension Office on Broadway in Phoenix. This is the time to plant the bare-root roses. But get it done early, once we hit mid-month, it will be time to buy the more expensive pot-grown roses if you don’t want them to go into shock and die when you plant them. I like to plant onion and garlic beneath the roses. They deter aphids and look pretty, too. And if you don’t like the look, you can keep them trimmed which means lots of yummy scallions and chives and green onions for cooking with! Double Delight! Another fun thing to do is to release lady beetles. You can buy them in the garden center (probably around the end of the month or early next) or order them on eBay. Man, I love eBay! It’s a great place to widen your plant selection, too. There are too many to list and too much information out there to think about on this one. I don’t think most of you are here to talk shrubs. Just remember this: Don’t prune back frost bitten shrubs until next month, and don’t fertilize until next month either. That’s that. Same as shrubs. Only difference: go plant some pine trees this month. Next month will be too late. It’s too early to plant jacaranda and other light tropicals. Wait another month. Notes: This is why I am here! This is why I garden. Veggies and herbs (and flowers) are my thing and this is the most important month of the year in PHX for them. This month is all about the amazing, versatile and tricky tomato. IMPORTANT: Only choose varieties that state maturation within 75 days; the less days the better. Yes, this means NO Beefsteak Tomatoes (Sorry, my Midwestern friends). 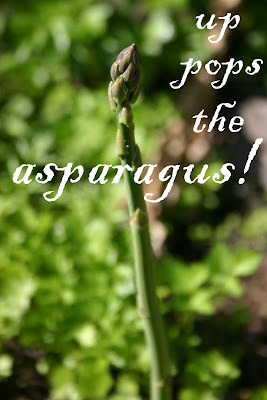 This is also the time of year that your established asparagus will send up yummy green shoots, so keep your eyes open. If you haven’t planted asparagus, just remember how much you’re envying those who did and go get some transplants to put out to enjoy next year. It takes 2-3 years for asparagus to settle in and produce a family for you, so it needs to be in your long-term plan. But it grows here like a native and has a pretty fern appearance during the rest of the year. Even if you don’t eat it (yet) you will enjoy the nice soft texture it adds to your visual landscape. Basil (soak seeds overnight), beets (really easy and prolific here), bok choy, borage, carrots, calendula, Chinese cabbage, cilantro, collards (late month), cumin, dill (don’t let this go to seed this summer or you will be moving just to get away from it), endive, kale, kohlrabi, lavender (soak seeds overnight), fast growing lettuces, German chamomile, marjoram, mustard greens, oregano, parsley, parsnips, peas, radishes, rhubarb, rutabaga (nasty), sage, salsify, savory, sesame, spinach, and turnips. Cucumbers, summer squash, muskmelon, peppers, and watermelon. Onions, potatoes (only through mid-month and don’t plant sweet potatoes yet), and the all-important TOMATOES. You can also find many other herbs to transplant this month, just mind that they don’t get nipped in our chilly nights. They don’t like temps below 65˚. Divide previously planted chives, garlic chives, lemon balm, lemon grass, oregano, peppermint and spearmint. Also, time to take root cuttings to multiply your established herbs. No pruning this month. Fertilize asparagus with a thick layer of compost and add slow-release fertilizer to your transplants late in the month. The march list is as long as February. It includes some beans and melons and artichokes (take up a lot of room, plan liberally), the salsa herbs, peppers, more squash and corn (also takes a lot of room to produce well). Oh, and in April we plant peanuts. Peanuts are SO MUCH FUN to grow with kids. You can plant the raw peanuts that you find in the fresh pack nut section of the produce department at any grocery store. They are just really cool. Doing a kids’ gardening class would be so fun. Any takers? Any takers on kids’ cooking classes? Both would be on my fun-to-do list. Now, that, my friends is rambling… if any of you haven’t given up on this impossibly long email. I am so not going to proof read this baby. 1. You don’t need to feel stressed if you don’t get started on February 15th. 2. Staggering is therefore your friend. If you plant 15 carrots a week for 6 weeks, then you will harvest 15 carrots a week when for 6 weeks. But if you plant an entire packet of carrots in one day, then you will harvest 300 carrots within a few days time. My recommendation? Plant enough seeds of each plant that you could eat in a week and then plant the same number the next week. Or, plant them all at once and get ready to put away (can) the rest. Either way is a good way. I like to stagger plant some items and mass plant others. But if you are new to gardening… I don’t recommend mass planting anything at all. If you need lessons on how to do your canning, buy some jars and bring your food to my house and we’ll do it together the first time or two until you get the knack. It’s not hard at all, and not as scary as it was when Grandma did it. 1. Prepare your water. If you have a drip system, run it and check it for leaks, clogged drippers and missing pieces, especially if you have a puppy like mine that thinks that water tastes better chewed out of a drip line. If you don’t have a drip system, determine your means for watering and prepare it. Drip is an inexpensive and simple installation and I recommend it for anyone who doesn’t want to go outside watering twice a day when the summer’s Blast Furnace heat hits, which will also be the crucial last few weeks before harvest. You’ve waited. You shied from the blast-furnace heat, waiting for this time. Fall planting season has arrived and you can immerge from your summer hiding places; Come out of heat hibernation. If you haven’t already, wash off that trowel, throw those dirty old garden gloves in the next load of laundry, and slip on your work clogs and overalls. Your garden is calling you! Don’t wait to heed it’s call… go now (or at least right after you read this newsletter)! 1. LESS IS MORE. When the nights have become comfortable and enjoyable again, then it is time to remember to reduce water to your landscape material. Failing to do so, encourages plant disease and infestation and will weaken your flora over time. However, the trick is not to do it too soon, since our days are still climbing into the triple digits. When the days start staying in the 90’s, change your watering system. A good time to do it? Right before the kids leave to go trick-or-treating. Until then, continue to water deeply and infrequently. 2. NO PAIN, NO GAIN. Turn off the water to your summer grass if you intend to plant winter grass. It’s good to let it sit dry for 7-10 days before verticutting and overseeding. This allows your Bermuda to go into dormancy so that it won’t be competing for nutrients and water with your perennial rye (which is not perennial here at all). While turning off the water to the lawn, you can maniacally scream, “Die, Bermuda. DIE!” I think it helps. 3. YOU LOOK GOOD. HAVE YOU LOST WEIGHT? If you are a good little trimmer (and you probably are) then you have waited all through the hot months to prune up your landscape plants, no matter how straggly they’ve become. Removing excess weight growth strengthens your plants. Get out and prune. Your landscape will thank you. It is finally time to de-burden your trees and shrubs with a nice hard trim. How do we know it is time? We know because the nights are becoming comfortable and enjoyable again, and the daytime temps drop into the 90’s. Don’t jump the gun, however, wait until those daytime temps are consistently in the 90’s… a few weeks. Plant that garden first. 4. WHERE THE WILD THINGS ARE. If you took my advice last month and cast wildflower seeds, make sure you give them a little water every 5-10 days. You’ll be glad you did, when they offer their thanks in the spring. If you didn’t plant wildflowers last month and would still like to… HURRY UP! Get out there this week, if possible. 6. GO CRAZY, BUT NOT MENTALLY SO. It’s time to go crazy with the planting. If you are putting in a fall garden, head over to your local nursery and pick up seeds. Take a garden buddy. Nobody really needs to plant 1500 seeds of lettuce (roughly how many come in one packet). Split the cost, share the pack. It may not seem helpful with a $2 pack of seeds, but if you are planting 20 different items in your garden, then your seed cost just became $40. Share the love. It’s also time to plant spring flowering bulbs (hooray!!!! ), winter grass, trees, shrubs, vines, cool season flowers, strawberries, and kindness. Go crazy! 7. SOONER IS BETTER. When choosing your seeds, choose varieties that develop quickly. For instance at www.ParkSeed.com I found Park's Bush Whopper II Cucumber which matures in 61 days. However, they also carried Cool Breeze Cucumber which matures in 45 days. Choose the variety that matures fastest, that still suits your needs, in this case, Cool Breeze. Use this method when choosing your seeds, and you won’t regret it. Why? Because our growing season is short. We want our plants to mature quickly because ripening won’t occur once the temps fall too far down the thermometer. Remember: We are trying to grow plants that are for summer everywhere else, in our short fall weather. It’s a race against the clock. 8. MAKE A PLAN, AND STICK TO IT. Reiterating what I have said in past newsletters, having a garden plan will save you money, time, frustration, and heartache. Make the plan before you shop, and stick to it. 9. THE WRITER’S MIND NEVER WHITHERS. Again, reiterating, but it’s worthy of saying. Keep a garden journal. Note what varieties you planted and where. Keep a basic calendar, too. If you find that weather changes prevented your tomatoes from reddening this year, then next year you can plant them a week or two earlier, if you kept a journal of when you planted. If you find that Beefsteak Tomatoes took too long to grow this year, and therefore didn’t yield a harvest, then next year you can plant a different variety, if you kept a journal of your experiences. Note: This step is unnecessary for those of you with perfect memories, who never forget anything, who have never been at a loss for someone’s name, never failed to attend an event due to forgetting because you were busy, never forgot to send your child with lunch money or sign their homework, never forgot to get an annual physical, never had to go back to the store for the 1 forgotten item, and who would remember the name of the variety of beets you planted (even though you read it only once when you opened the envelope) nor that you planted it on September 17th, etc. Can you remember details for a year? Then no need to journal. Everyone else: Keep a journal!!!! I use one of those old calendars that my kids made me for Christmas at school. I just write in the little squares in green ink what I planted on that date, and in red ink what I harvested on that date. Easy peasy. Thus ends the October Newsletter. Keep an eye open for the “Suggestions” portion later. I am tight on time with the kids out of school and don’t want to hold off on publishing this half while you wait. 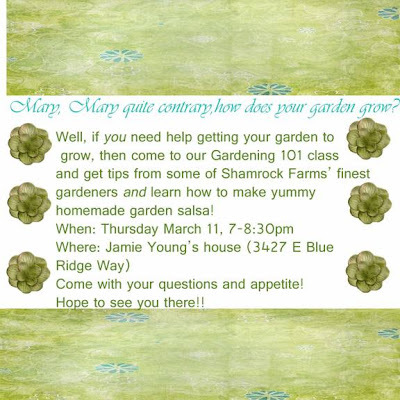 The garden newsletter's late, but NO GRIPING! Pretty soon you'll be grabbing your seeds and your trowel. The wait will be worth it, as you shall soon see. You'll be working so hard that you'll be panting. When you start your Fall Garden 'neath desert skies. Ah, those are words I haven’t written in a while! It’s good to be back. Like the end of a great vacation, it is good to get into the swing of things again! So it is with September. Yes, we desert gardeners take summer hiatus while the rest of North America gets their hands dirty and their fresh, juicy veggies. As the growing season for others winds down, ours begins! So, throw your garden gloves through the washing machine, rinse off your trowels, unpack your saved seeds from last year, and let’s get gardening! 1. REMOVE THE RIFRAFF. If your yard and garden have been hit with the same summer monsoons that mine has, then you probably have an abundance of vegetation… but not necessarily the kind you want. It’s time to de-weed. When weeding, try to get the root removed completely. If you let them lie, you will be repopulating your lawn and your neighbors’ when they go to seed, send up new runners, or layer themselves to propagate descendants. I don’t put my weeds in my compost, because I don’t want them to come back to haunt me. Bag ‘em and green can ‘em. 3. SEEDS AND SWEDES. Okay, so not really Swedes. A lot of bulbs come from Holland… but it rhymed! Do I get credit for that? Either way, it is time to start planting seeds for the veggie, flower, and herb garden as well as thinking ahead for your winter bulbs. Make sure you have fresh seeds packed for this year (it usually says on the back of the packet), and when you buy new seeds, be mindful not to get them hot. This means if you stop at the grocery store on the way home from the garden center, take those babies in with you! And, it doesn’t hurt to store them in the fridge when you get home until you are ready to plant them. 4. GO WILD! It’s time to spread your spring wildflower seeds! 5. MAKE A PLAN & BUDGET WISELY. If you are a plant geek like me, this is the time of year when you have to really have some self-control to prevent yourself from buying every interesting-looking item in the garden center and ordering hundreds of dollars worth of seeds. Not to mention at the end of the month we will be seeing many bulbs available that are too breathtaking for words!! The solution? Don’t decide in the garden center what you are going to buy. Create a garden plan, account how many/what size you need, compose a shopping list, and stick to it. Additionally formulate a budget like you would for anything else. This way if you do find an irresistible plumeria at Home Depot, you can decide what items from your list will have to be scratched in order to remain within budget. Afterall, the kids won’t be as thrilled with Wandering Jew at Christmas as I would be. A true Garden Plan is not a list of things you want to grow, but a map of their placement in your space. Sometimes what we want to grow, is not the same as what we have time, space, and budget to grow. 6. THE WRITER’S MIND NEVER WHITHERS. Journal your experiences this year in the garden to remind you next year what worked and what didn’t so much. It is also great to write down, blog, or otherwise document your garden plantings to remind you later what those little green sprigs are coming out of the ground. It is surprising to me what can be forgotten in just a few short weeks! 7. MORE FUN TO COME. September is busy in the desert. Especially for vegetable and herb growers! But October is even busier because it is time to plant and prune everything else. So, get ready! You have your work cut out for you! I am excited for the fall garden, and I hope you are, too! Please, if you have any suggestions, tips, or recommendations, send them to me at wishtrish@gmail.com or leave me a comment on the blog. I’d also love to share pictures of your gardens’ success, so send those along, as well! It’s time to clear out your flower beds! Remove summer annuals, add a little manure to revive the soil, and plant your cool-season choices as soon as temps drop to highs below 100 and nights in the low 70’s. Mid-September ought to do it. Once the plants are established, they will tolerate a rise in temperature, but fresh plantings don’t love the blast furnace heat. Great plants and seeds to look forward to this month: alyssum, arctotis, aster, bachelor’s buttons, bells of Ireland, black-eyed Susan, California poppies, canary creeper, candytuft, clarkia, coreopsis, cosmos, English daisies, forget-me-not, gaillardia, larkspur (a favorite of mine) lobelia, marigolds, morning glory (check for legality in your area, and mind that it is invasive), nasturtium (LOVE these, and you can eat the flowers, too), nemesia, nemophila, nicotiana, pansy, petunia, snapdragon, statice, stock, sunflowers, strawflower, sweet alyssum, sweet peas, sweet sultan, toadflax, wallflowers, zinnia. Late this month, look for all the bulb goodies. I prefer to buy from bulb catalogs and online. Also, Costco seems to get nice bulbs in. There is just so much more variety online to choose from than what mediocre selections will be found next to the check-out line at Lowe’s. If you want to grow hybrid tulips, crocus, or hyacinth by your front door for spring, buy them now to allow plenty of chilling time (in your fridge) before planting. These bulbs must have more cold hours in order to bloom than what we are naturally going to get here in the desert. Also, if you buy amaryllis now, you may have Christmas blooms! Growing bulbs is not intimidating. They are some of the easiest and most rewarding plants to grow. Just remember, planting depths written on the packaging is for the rest of America. Here, plant them half as deeply as what is stated. Fun bulbs to look for in September: bugle flower, butterfly iris, cape tulip, freesia, harlequin flower, chasmanthe, Solider-in-the-box, Naples garlic, ornamental alliums. Oh, and potatoes… but I usually list those under veggies. The list will be really long next month, so save some garden space! Now is a great time to plant the succulents of all types and varieties! Go pick out a lovely agave or funky yucca and throw it in the mix to add stationary strength to the texture of your garden! Time to plant strawberries! Hooray! I like the Sequoia and Chandler varieties, myself. Give them space, they spread a lot. Also, fertilize your grapevines, but no pruning, yet. Before overseeding, let your Bermuda dry out for a week (or more if you are swampy post-monsoon), then verticut (give it a buzz, not a trim) your lawn and spread rye seed. Keep your rye moist until germination is complete. Remember: a dry seed is a dead seed. It is a good time to mulch your perennials, and late in the month you will see a variety of spring-flowering plants available in the garden centers. It’s not too late to prune frost-sensitive perennials. Your long to-do list comes next month, so start your yoga now to get ready! Like annuals, the list of plants is longer next month, so save room, but here are a few that can be planted from seed now: aster, carnation, columbine, feverfew, hollyhock, statice, yarrow. It is time to take a look at your roses. Did they fare well through summer? If not, perhaps you should consider a new location for them. Take a look at your garden and decide where you would like a few more. Late this month they will start reappearing in garden centers. You don’t want to wait too long to plant container-grown roses, as they will need a chance for their root system to become established before the cold nights set in. Don’t trim your beauties yet; wait until the daytime temps are staying below 100 degrees. Prune only summer-flowering shrubs at this time. For others, wait until October, the busiest desert-gardening month. However, if you have storm damage from the high-winds of the season, prune those puppies now! Don’t wait. Desert-native trees may need pruned in order to prevent breaking branches in the next wind, as well. This is the month to plant desert-native trees. If it isn’t frost tender, September is a great planting month. Don’t plant deciduous trees now. Wait until they are dormant in a few months. This is the last month to fertilize palms, too. I recently learned that one of the ways plant disease is spread among shrubs and trees is through pruning tools. I guess that makes sense. We wouldn’t go to a blood-drive where they used the same needle on all of the participants… so it should be with our pruning tools, only we don’t have to replace them after each snip. Carry a bottle of disinfecting wipes in your garden tool tray, and wipe after each cut. Great idea, huh? This is what I’ve waited all summer for! This season is what makes desert-dwelling bearable for me. Here goes. When choosing between the many garden varieties of veggies, select short-season varieties that will mature more quickly. This is true all year long, so remember it. For instance: A tomato that matures in 69 days will neither be fried by the heat in the spring garden nor bitten by the cold in the fall garden. Whereas, a 90 day tomato (like beefsteak) will be fried or bitten before it matures, wasting your time, resources, and garden space. Short lived is often more lived. With the upcoming mild winter, it is a great time to plant cole crops (broccoli, Brussels sprouts, cabbage, cauliflower, collards, kale, kohlrabi, etc), greens, and veggies. Keep in mind, if you plant 15 spaces of lettuce in one day, you will have 15 heads ripe and ready the same day. I like to plant mine 3-5 spaces per week over 6 or 8 weeks, to allow continual harvest of the items that don’t keep well and can’t be dried or canned. It is called succession planting and is especially useful with greens in the desert where you can grow them all winter long. Prune heat and sun damage herbs: geranium, rosemary, lavender, sage, and thyme. Divide chives, oregano, marjoram, and mint. Save room for October’s plantings: close to all of the September plantings (but not tomatoes or peppers), and one of my favorites, ASPARAGUS! In answer to your queries: Yes, we are still alive. No, the garden newsletter hasn't been started. And, obviously, I haven't gotten around to removing the family post that I accidentally put on this blog.